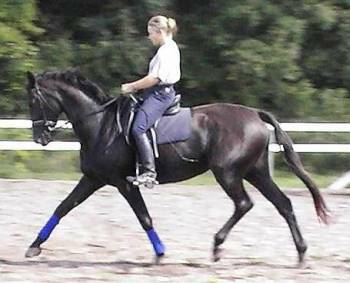 Awesome Dressage horse and Fourth Level school master. Striking movements, extraordinary impulsion and suspension. Lots of show experience, PSG and Intermediaire movements with a gorgeous Passage. Extremely easy to ride and very uncomplicated. Clean vet check and current x-rays available. Up and coming star for the international Grand Prix Dressage ring: stallion prospect by SIR DONNERHALL, world renown sire of World Champions, Winners of the German national championships, price record setters and licensing champions. Out of mare line that holds Premium and Star titles. Was Premium foal and Site Reserve Champion at foal inspection. Dam is by Donarweiss, another outstanding Dressage and Hunter producer. More information, pictures ..please inquire. 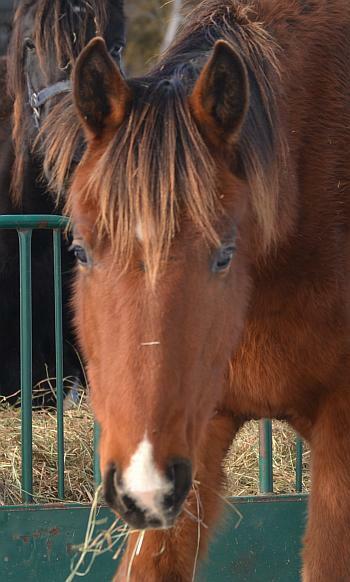 All horses listed above are current with their shots (Tetanus, Rabies, Influenza, WNV), deworming and farrier. The horses are all well mannered and handled daily. None of them has any vices or known health issues. Prices are subject to change at any given time. Prices are in Canadian Dollars and the amount shown on this website supersedes any price seen somewhere else.